Seeking to regroup swiftly after the Local Government polls setback, Prime Minister Ranil Wickremesinghe yesterday reinforced his intention to prioritise and fast-track policy implementation with the appointment of a top ministerial committee, while pledging to remain within the framework provided by the people’s mandate. “The people have given us a mandate, and we have to deliver. We cannot deviate from that at any point. So we have to make the necessary changes and [set a] pace we can work at within that framework. We have to discuss our shortcomings, what needs to change and what we need to add, and decide on the way forward,” Wickremesinghe said during a high profile meeting of party members at Temple Trees on Friday. The meeting was attended by UNP Assistant Leader and Housing Minister Sajith Premadasa, State Minister of Finance Eran Wickramaratne, National Policies Deputy Minister Dr. Harsha De Silva, Plantations Minister Naveen Dissanayake, Telecommunications Minister Harin Fernando, Law & Order Minister Sagala Ratnayake, Education Minister Akila Viraj Kariyawasam and Power & Energy Minister Ajith Perera who were summoned by the Prime Minister. The Government is taking steps to develop a special plan to take the country forward, the Prime Minister added with a committee already appointed for this task. The ministerial committee will present a report on proposals and policy changes needed, which would then be discussed with President Maithripala Sirisena and other key Ministers before being implemented. One of the key criticisms of the coalition over the past three years was that the UNP and the United People’s Freedom Alliance (UPFA) had failed to maintain policy consistency with measures contradicted by opposing factions of the Government. 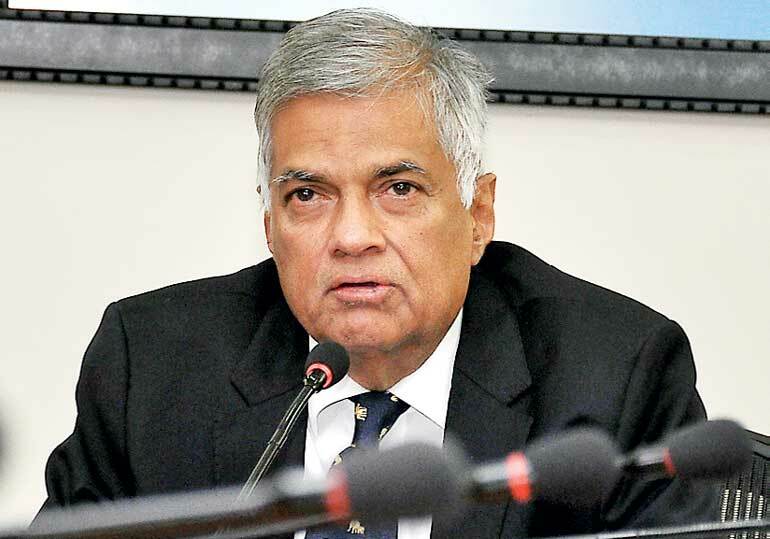 Nonetheless Prime Minister Wickremesinghe emphasised that this was just part of the party’s new pivot noting that a separate committee would be appointed next week to define measures to be taken to restructure the UNP. He expressed expectations that both could be taken forward within a month. Acknowledging the setback experienced during the recent LG polls where the newly formed Sri Lanka Podujana Peramuna (SLPP) backed by Former President Mahinda Rajapaksa grabbed control of a majority of the Local Government bodies in the country, the Premier said that the election reflected the public disapproval of current Government policies. However, he played down the impact of the results, pointing out that similar mid-term elections are conducted around the world and cited the pending US Senate elections, expected around November this year as a litmus test of President Donald Trump’s two years in power, as an example. He also conceded that limited time remained to kick-start policy implementation and stated the committee would be presenting its recommendations swiftly. With the aim of forming a second tier of leaders in the United National Party (UNP), the younger members of the party have been tasked with drawing a development plan. “Traditionally this responsibility should be given to party seniors, but since we are trying to create a second tier of leadership in the party, the younger generation has been entrusted with the job,” the Prime Minister said. He had earlier acknowledged that more authority should be delegated to the younger members of the party to foster leadership and progressive policies demanded by the public. “We must first look at Government policy. This is why the Ministers and Deputy Ministers of the UNP have been called here today. They must discuss the link between policies and the steps taken by the Government and understand what reforms have to be made in the future, what steps can be taken and whether we need to move in a more radical way,” he added.